A closer inspection of the two covers will reveal, that indeed, the Kamal Haasan variant is just a shoddy photoshop job on top of the Bhansali version. 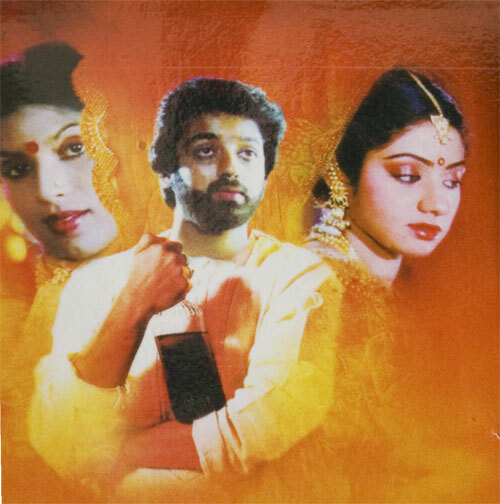 Someone not only planted Kamal Haasan’s head on to Shahrukh’s torso - they added insult to injury by repeating the process for Sridevi and Sripriya (with Aishwarya Rai and Madhuri Dixit being the respective victms). 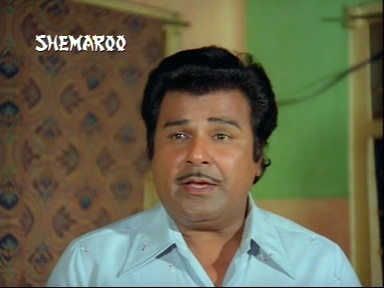 Raja (Kamal) is a brat with prediliction for ridiculous pink t-shirts and chain smoking. 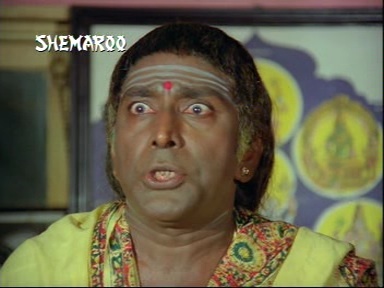 Enter Devi (Sri Devi) his love interest - who is an Air Hostess for Indian Airlines - no less! She is seen here clearing her ear, while her friend pretends the she and the movie camera do not exist. Through a series of contrived and rather forgettable events they fall in love and decide to get married. The families are happy with the match and the two go on a wedding card distribution spree. But alas, the wedding is not to be - Raja, thanks to years of smoking like a chimney has - yes - cancer - very visible cancer. 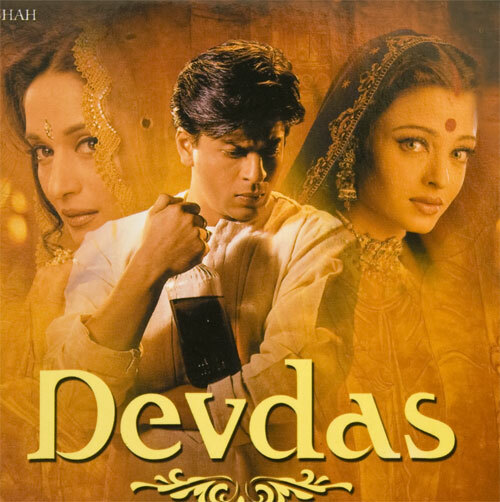 Devi’s brother comes to know of it and wants to save his sister from her fate. He contacts the friendly family priest/astrologer and urges him to postpone their wedding by 6 months - knowing well that his chain-smoking-cancer-inflicted brother-in-law to be wouldn’t last that long. Note the clever assumption that his sister will show sound judgement and will not marry a dead man. The priest obliges. 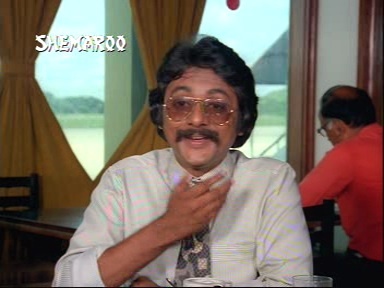 Raja in the meanwhile realizes the gravity of his condition and starts supplementing his copious intake of nicotine with healthy quantities of liquor. The jeopardy of his betrothal also opens door to a brothel. Enter Radha - played by a certain Sripriya. She is seen here indulging in an elaborate song and dance routine with the soon-to-be-dead man. Devi - with a little nudging by big bro and a little prodding by Raja himself - ends up marrying an old friend of hers. He is visibly pleased. After the wedding they all come together at Radha’s place for a grand, tearjerking finale.